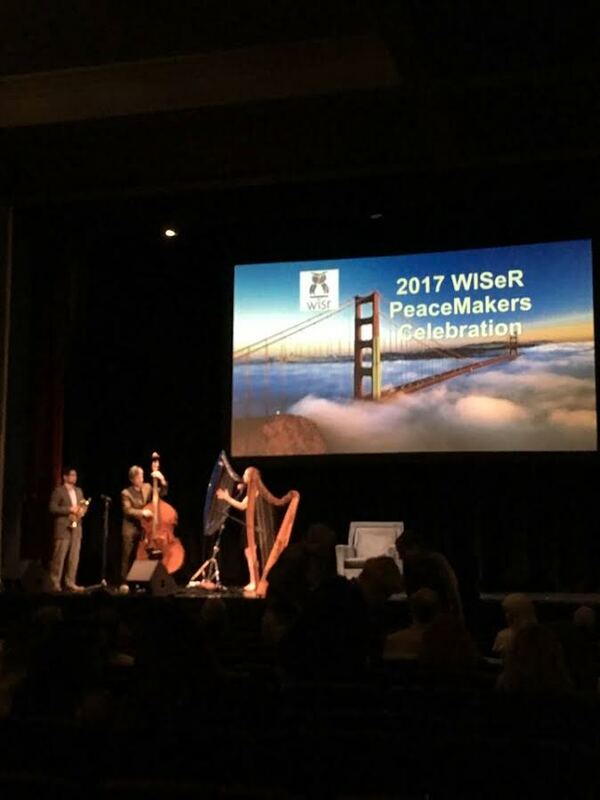 Hundreds of people attended WISeR‘s Peace Makers Celebration at the historic Marine’s Memorial Theatre in San Francisco on Saturday evening. Over 22 multidisciplinary workshops, presentations, film and discussions on resilience, trauma informed care, nonviolence, human dignity, memoir writing, multiculturalism, healing, expressive arts, inclusivity, activism, innovative non-pathologizing trauma-informed care, epigenetics, ecology, biology and social justice were offered throughout the four day WISeR Annual Conference. 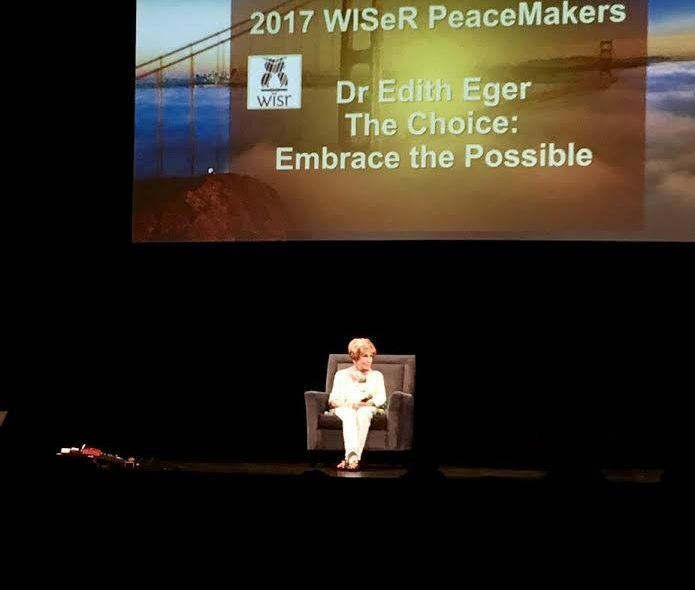 Dr. Edie’s Peace Maker’s Celebration Event presentation on Saturday, and her brilliant Berkeley workshop on Sunday coalesced not only SFBay National week of Non Violence events and WISeR Annual Conference Themes. Dr. Eger also unified, contextualized and fomented the many life-affirming and inspiring endeavors of community partners, attorneys, scientists, nurses, physicians, therapists, activists, artists, filmmakers, business people, researchers, educators, families and peacemakers everywhere; underscoring the importance of doing good for others, unconditional love, and how each individual – each and every human being – has the capacity to heal. Dr. Edie demonstrated how we can all practice unconditional love and forgiveness. She meaningfully articulated how each and every individual matters, and we can all work together toward making the world a better place. After her inspiring Saturday evening presentation on Forgiveness and Resilience, Dr. Edie graciously signed copies of her memoir, “The Choice: Embrace the Possible.” While the electroacoustic harp trio performed special tributes to Dr. Edie, with standards & favorites “I Left My Heart in San Francisco” and “A Nightingale Sang on Berkeley Square” onstage, Dr. Edie greeted attendees enthusiastically. The line filled the theatre lobby. 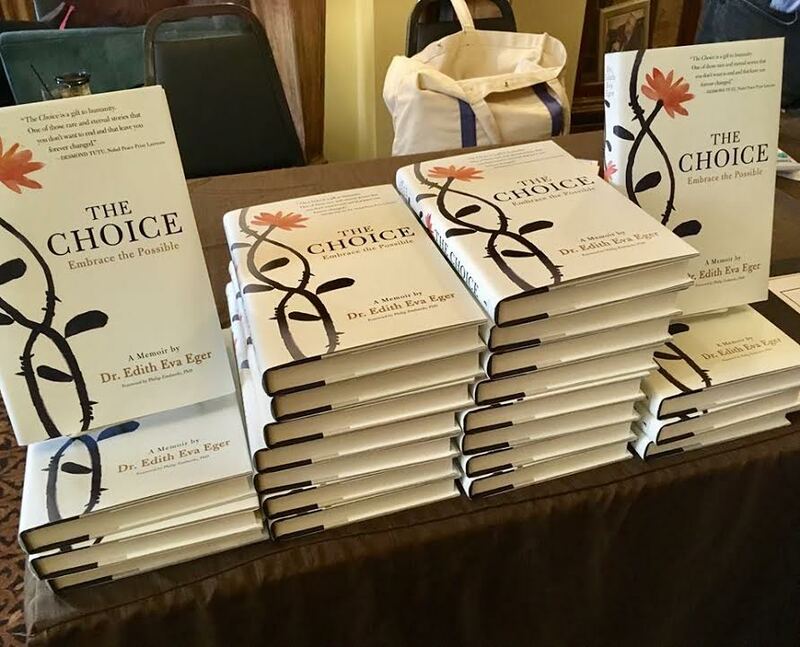 Dr. Edie’s books were provided at the theatre venue by San Francisco’s own Book Shop West Portal. Susan Tunis from Book Shop West Portal is also an alum of Saybrook University and was thrilled to have an opportunity to meet Dr. Edie. All of Edie’s books sold out! Dr. Edie was followed by presenters Law Professor David Yamada on Eliminationist Behaviors and Workplace Bullying; Fine Artist, Educator and Ecologist Heidi Hardin, on the UN ACE’s Elimination Initiative and Global Center for Human Family Peace Project; Global Trauma Care Initiative Diana Canant’s Turning the Tide of Trauma; and Lauded Therapist, Filmmaker, Educator and Activist, Satsuki Ina PhD “And Then They Came for Us” Talk and Film Screening.